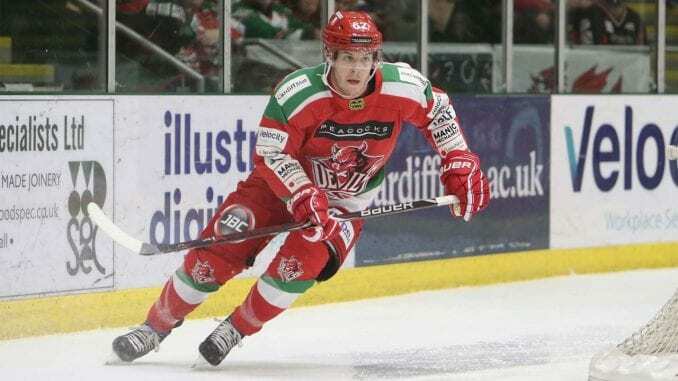 Cardiff Devils winger James Livingston says the thrill of being thrown straight into a title race was reason enough to come to the UK. The 28-year-old is heading into his second Elite League weekend where his team will host challengers Belfast Giants in what promises to be an exciting double header. And the Canadian, who joined from DEL2 side Bad Nauheim, has been told the Giants are the team to beat. “One of the things that got me excited about the prospect of coming straight into a fight for the championship,” he said. “I know about the tradition of winning here and being part of that is something very exciting. “You’re here to improve every day, but more importantly to win. I don’t know exactly what to expect from this league – I’m still finding that out. Livingston made his Elite League bow last week in victories over Glasgow Clan and Nottingham Panthers to keep his team at the summit of the table. He admits he’s still getting used to the hockey played by his team and throughout the league, but feels he’s adapting quickly. He added: “I think I took to it well in the first couple of games last week and it’s a slightly different style of hockey to what I’m used to playing in Germany. “It’s a little more physical with more forechecking, but I really enjoyed it and I was pleased to help us come away with two wins.